Time to get stuck in. 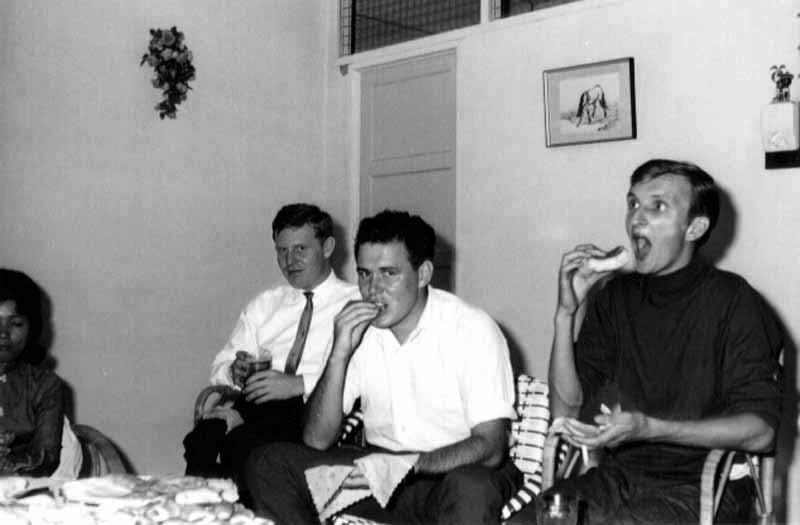 Jim Butterworth, Brian Houldershaw and unknown guest, (probably a 'peace corps' wallah), enjoy the evenings buffet at Rumah Doubtfire. Sibu, 3rd. Division, Sarawak.